The AFLATOT program for children who have not yet entered primary school (typically 3 to 6yrs old) aims at providing the building blocks of social and financial literacy, equipping children with the skills and competencies that will ensure they contribute to sustainable development – individually and collectively. 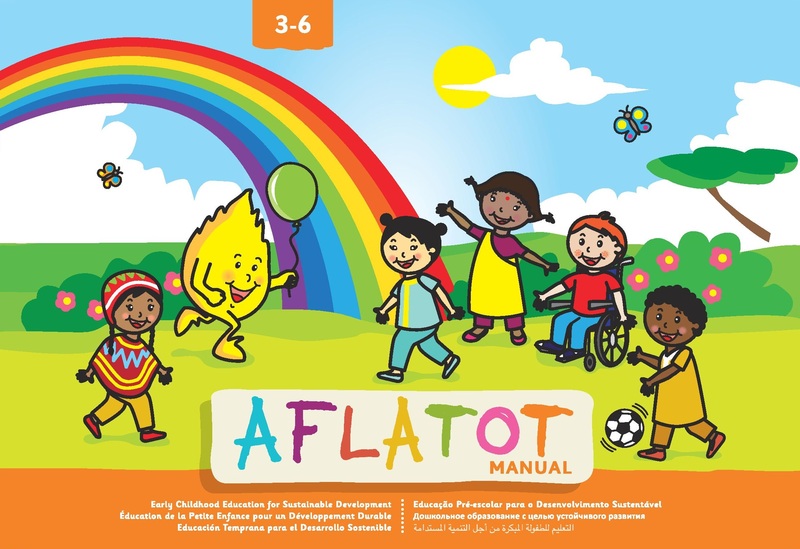 The AFLATOT Manual should be used by professional teachers or facilitators who are equipped with Aflatoun technique and pedagogic to deliver sessions from the manual. Aflatoun believes that children need a balance of social and financial education if they are to become agents of change in their own communities. Even in their early years, children are highly capable and competent, regardless of their backgrounds, experiences and ages. Children are active, self-motivated learners eager to understand the world in which they live. They learn best when supported through adult interactions. The early childhood years offer a unique window of opportunity in which to nurture a child’s physical, intellectual, emotional and social development. Positive learning experiences in this period lay the firm foundation that is essential if children are to reach their full potential. To obtain the AFLATOT Manuals please contact Aflatoun, or click EXPLORE to browse their website.